PJ Jacobsen will return to the MotoAmerica paddock in 2019 after signing a Supersport deal with HSBK/Celtic Racing to ride Yamahas. 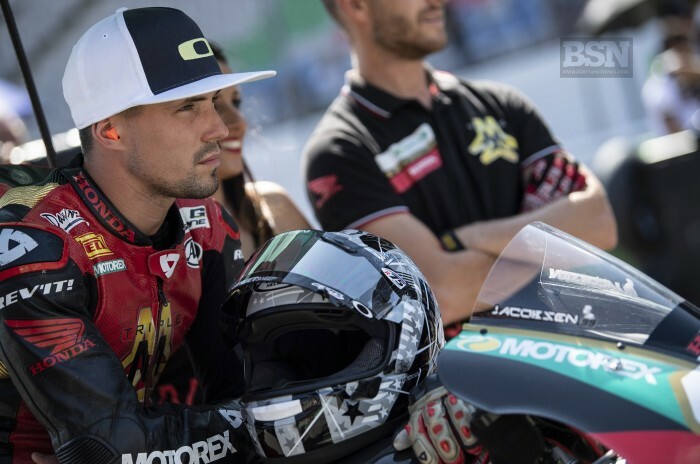 The Noo Yawker had a tough time with Triple M Honda in WorldSBK this season - and it isn’t confirmed yet whether they will be back in 2019 - and struggled to find a berth on the world stage so has struck this partnership in his home country. “I want to thank HSBK and Celtic racing for this opportunity. I’m ready to get started with them right away, and I’m looking forward to a very strong year with them. We are all very motivated and ready to do what we can, and believe we can achieve great things,” said Jacobsen.